@aravind37: Can you please explain how you got into a PM role and what do you expect from a PM Candidate, in terms of generic skills? @scriptjs: Can you talk about tools you use for customer and market validation? @yamini: Could you talk about the factors you would consider to prioritize features or backlog items? @sophie-luo: I was a B2B startup founder and launched an enterprise product. I closed down my server last month to save money, so now I don’t have a product to show. Does this hurt? @milin: Most Products are specific to an Industry and aim at innovating/solving/easing the challenges faced in that Industry. As a PM how hard does it get to be able to work on different products and opportunities? @wespindola: Can you walk us through a regular day as a PM based on your current role? @ryfeus: What are main mistakes rookie PMs usually make? What a PM shouldn't do as part of his work and leave to other people? @cjroe: Do you recommend doing Analyst/Research internships before jumping into a PM role? @ryfeus: What are main mistakes rookie PMs usually make? What a PM shouldn’t do as part of his work and leave to other people? What is it like being a Product Manager in a big international company? Our Slack community sat in front of their computers and asked questions from Jesse Owens II, Senior Product Owner at MasterCard, to get closer to understanding his day-to-day life. He shared his story on how he got into product management and gave advice on what to avoid as a rookie PM. Here are the best bits of the live chat. @jesse.e.owensii: I got into PM by virtue of my experiences as a developer and Technical Business Analyst at JPMorgan. During my tenure I spent time developing new products, providing production support for those products and gathering business requirements across Investment Bank and Asset Mgt. I wanted to make a transition into product but didn’t know how. So I researched what the role of a PM included and started to craft my story to be more PM focused. I understood that it’s a plus to have products under your belt so I self-taught myself iOS programming and UX design and built my own product. 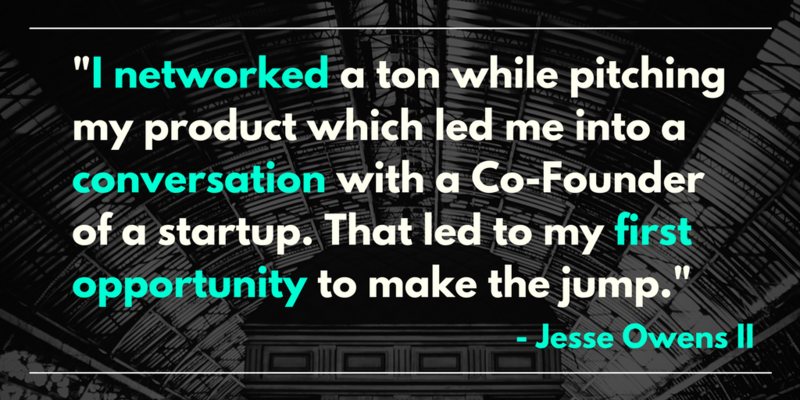 I networked a ton while pitching my product which led me into a conversation with a Co-Founder of a startup. That led to my first opportunity to make the jump. @jesse.e.owensii: Tools that I use for customer and market validation, depends on the product. For new products I like to start with a Business Model Canvas and focus on my Value Proposition. From there you can assess the market landscape of existing products operating in the same space and their market share if the data is available. Customer interviews are helpful as well once you have a prototype of what you’re building to ensure you’re building the right thing for your customer segment. @jesse.e.owensii: When I prioritize features I look internally at the product first then work my way out. For example. I’m reviewing product metrics to gain a deeper understanding of what my consumers are experiencing. UI responsiveness and API performance are the things I’m looking at to improve which can fall under Tech Improvements. Also, it’s important to look at market trends and what your competitors are doing to develop a baseline of the market. When you’re looking at prioritizing features it really boils down to competitor alignment and/or competitive advantage. @jesse.e.owensii: Not necessarily! If you don’t have a product to show then I would definitely look into a hi-fidelity prototype you can show and walk someone through the experience while providing the context on the product design decisions you made and why. You might need to get a designer or use free UI Kits available on the web if you’re on a tight budget. @jesse.e.owensii: I think this is a very important question to ask yourself before accepting a role. Career path and culture are important factors in someone’s overall happiness at a company. 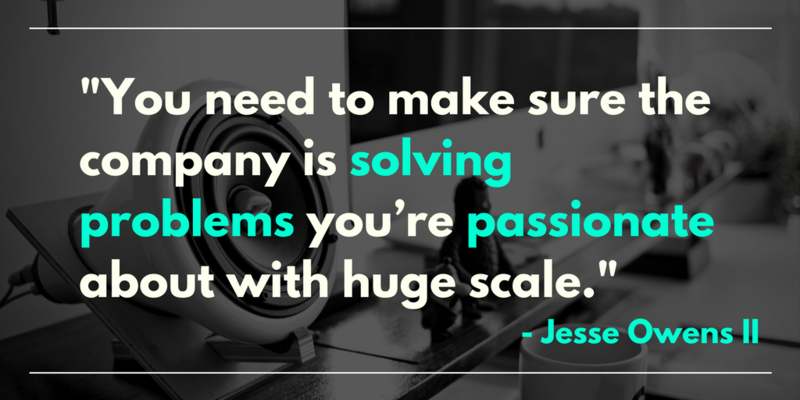 You need to make sure the company is solving problems you’re passionate about with huge scale. The scale of the opportunity will open up new user cases thus presenting new problems to solve. @jesse.e.owensii: It really depends on the day but generally speaking I spend time ideating new features and solutions with engineers, architects, and UX. At the same time, I’m ensuring that my development team has all the information they need from design, business, and technical context to build features we’re looking to release into the market. In addition, I’m reviewing the backlog of upcoming features I’ve prioritized with the stakeholders. @jesse.e.owensii: To answer your first question, I personally feel making a distinction between GOOD vs. GOOD ENOUGH. I find younger PMs failing to grasp. Your product will be in Beta and it’s important to understand what’s core to the shipment of the feature/product and prioritize the nice to have for the next iteration of the product. For your 2nd question, it’s important to manage the team by being influential and to treat the team members with respect. I like to operate under the approach “Trust then Verify” when I work across Design, Business and Tech teams. Your job is to bring the product to life. @jesse.e.owensii: I definitely see Analyst/Research internship being favorable as you start the transition into product. Researching market opportunities and data into actionable insights is a great skill to have regardless of company size or role. During the internship, I would try to shadow a designer & developer just to understand their role and how to work across the disciplines. There are a lot of professionals out there willing to help aspiring Product Managers to break into the field. They all have chosen their individual roads to get there and have gone through the struggle of getting accepted. Though the road might not be easy it is one worth taking if you have the passion for it. Choose your road and stick to it. Help is one live chat away! Join our Slack community here for more interesting Live Chats and conversations.